LONDON, England -- Britain is beefing-up its help for Ukrainian troops battling pro-Russian forces , in a move likely to increase tensions with the Kremlin. 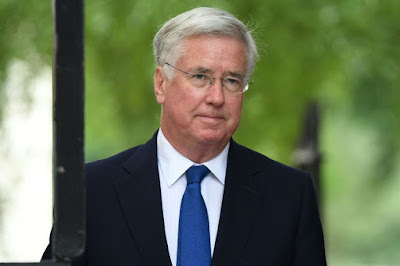 Defence Secretary Sir Michael Fallon. The UK is expanding its training of Ukrainian armed forces, with new military courses covering threats including countering attacks from snipers, armoured vehicles and mortars. The mission, codenamed Operation Orbital, has so far focused on teaching recruits how to spot mines and improvised explosives, provide battlefield medical care and logistics planning. 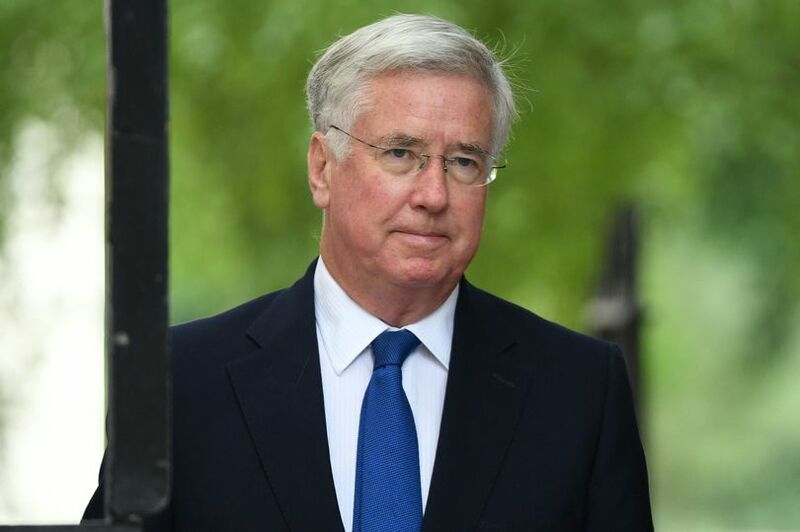 Unveiling the new help, Defence Secretary Sir Michael Fallon said last night: “We continue to stand side by side with our Ukrainian friends in the face of Russian belligerence and aggression. “This training, defensive in nature, will help protect Ukrainian troops against the threats that they face on a daily basis." Today’s announcement comes exactly three years after 298 people, including 10 Britons, were killed when an airliner was blasted out of the sky over eastern Ukraine. The disaster happened as Russian-backed separatists fought Ukrainian forces in the disputed Donbass region. MH17 – a Malaysia Airlines Boeing 777 - was flying from Amsterdam to Kuala Lumpur when it crossed over the territory and was shot down on July 17, 2014. Evidence showed the Buk missile system responsible had been brought in from Russian territory and was fired from a field controlled by pro-Russian fighters. Since the Donbass conflict flared in March 2014, 2,700 Ukrainian servicemen have been killed and another 10,000 injured. A total of 128 have died already this year. Last week, Sir Michael revealed the UK has directly trained over 5,000 members of Ukraine’s Armed Forces in 14 locations away from the Donbass. Since 2015, over 1,300 British personnel have been deployed on Operation Orbital. The training mission will continue until at least early 2018.